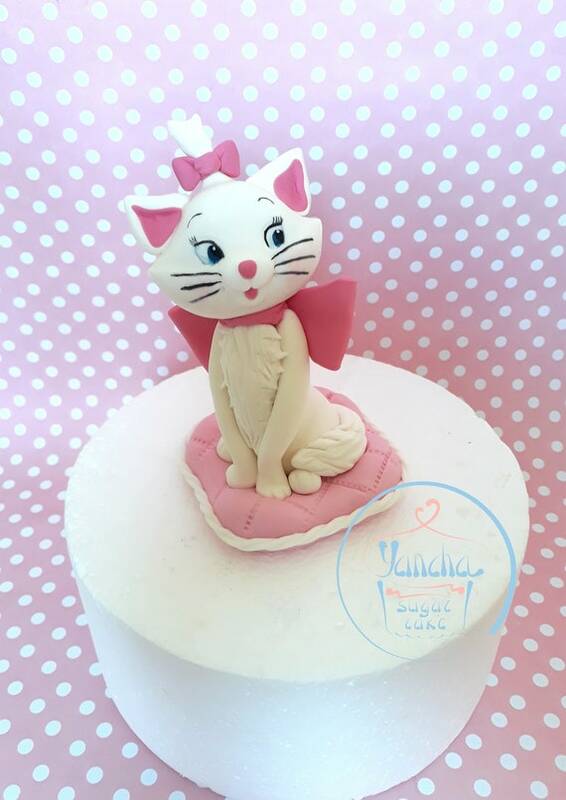 Fondant edible 3d cake topper of Marie cat from Aristocats. Also includes this little pillow as shown in the pictures. Sugarpaste (modelling paste) is 100% edible. It is suitable for vegetarians and gluten-free. We are very careful about the expiration day - it is included in each order. Fondant decorations stay fresh for about 6 months after their construction. All sugar decorations must keep away from direct sunlight and do not store in the fridge or freezer. They should be stored in an air-tight food container. Please allow 3-5 business days for construction and drying time. ►STANDART without tracking! Please note, it is important! If you want to track your order please choose ►TRACKED shipping. Please read the shop's policies for estimated shipping time. Toppers are bubble wrapped with extreme care. Please don't hesitate to request some changes. If you would like the topper in other color or other quantity we will be happy to do our best to accommodate your request! If you do not specify any changes in the note's section of your order we will assume you just want the design and colors as shown. Please read some policies of the shop before placing order. By purchasing our decorations you are agreeing to the store policies and those listed above. Please feel free to message us with any question!